Description Moonroof, Third Row Seat, Heated Leather Seats, Running Boards, 4x4, Bluetooth, CD Player, Satellite Radio, iPod/MP3 Input, AUXILIARY CLIMATE CONTROL, 17" PAINTED ALUMINUM WHEELS, PWR MOONROOF W/SHADE, 50/50 VINYL MANUAL FOLD-FLAT THIRD RO... Aluminum Wheels, CAMEL, LEATHER-TRIMMED HEATED LOW BACK FRONT SPORT BUCKET SEATS, CAMEL, LEATHER-TRIMMED HEATED LOW BAC... AND MORE! Running Boards, Satellite Radio, iPod/MP3 Input, Bluetooth, CD Player MP3 Player, 4x4, Privacy Glass, Keyless Entry, Steering Wheel Controls. 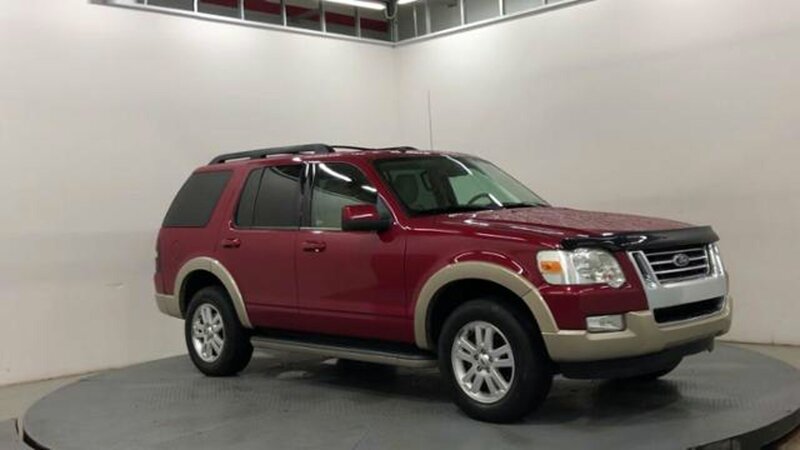 "The Ford Explorer is a relative joy to drive compared to other truck-based SUVs like the Dodge Durango and Chevy Trailblazer. "- Edmunds.com.